The BRKCRMSC-SRHV is a swivel yoke for a single CRMSC-SRHV surround. The yoke is connected to the cabinet on the left and right side with one M8 bolt each. 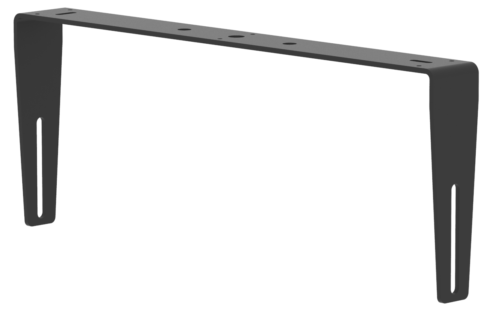 The bracket is designed for (horizontal + vertical) wall-or ceiling mount, and is to be mounted through the two slot holes; It is also prepared for STMT (stand) mounting.